From Metula to the Negev.. Such is the second stanza of the famous anthem of the Palmach. The Palmach was the elite fighting force of the Haganah, the defenders of early Jewish settlement in the land of Israel. The song was written in the early 1940’s and became extremely popular. The song is describing the love that the Palmach fighters expressed for their homeland, the land of Israel. It refers to the geographical borders of the Pre State era. From Metula at it’s northernmost point to the Negev desert in the south. From the Mediterranean sea in the west to the Judean plain in the east. I am often reminded of this song as I tour and travel throughout Israel. In the past few weeks, I actually made it to all the areas mentioned in the song as well as to points beyond. Recently I participated in a seminar on regional security. This seminar was geared specifically to tour guides. It gave us a chance to visit and understand the areas along Israel’s borders. We met with security personnel as well as citizens living close to the borders. We heard from them about their lives along the borders and the importance of protecting the borders. We were shown the security issues from a personal and professional perspective. We visited towns, villages, cities, and sites along the border with Gaza, the West Bank, Syria, Jordan, Lebanon. 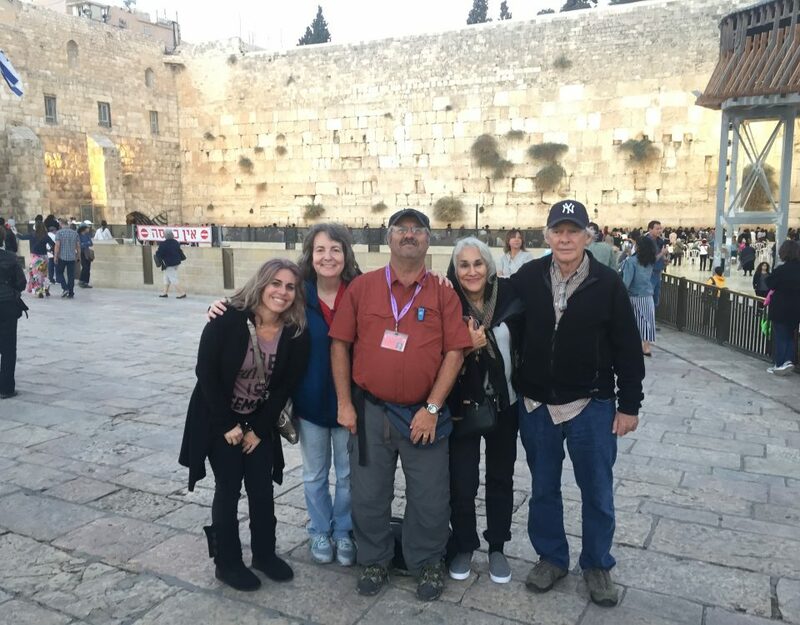 The following week my tourists, a wonderful Christian adult family wanted to see and experience as much of the Biblical land of Israel as possible. Together we traveled the length and breadth of Israel. They wanted to really see and hear the challenges of living in the State of Israel today. To their good fortune, their tour was right after the seminar. I was now ready (as always) to show them our wonderful country and help them understand the security situation in each area. 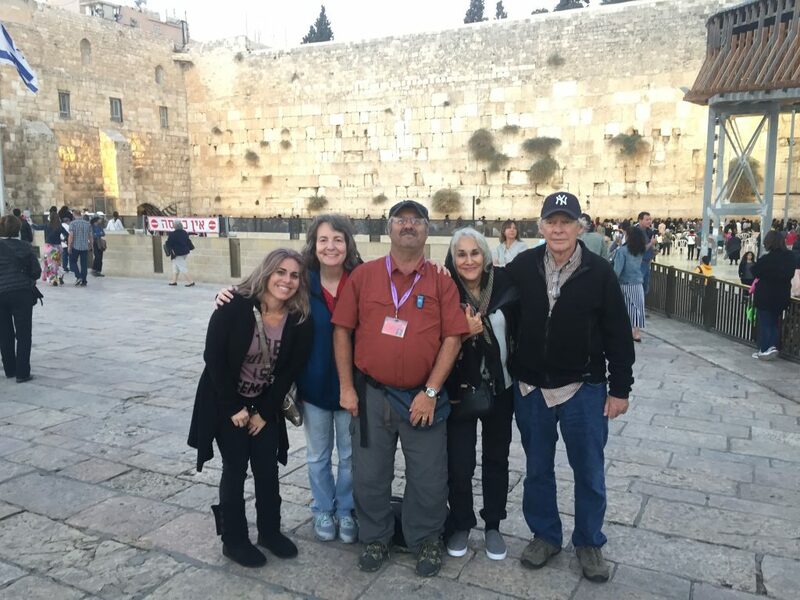 If you would like to know more about Israel and experience its security and border issues on a complete cross-country tour such as this, read on. We started our tour in Tel Aviv along the Mediterranean sea. As we headed to Caesarea, we discussed how the sea is our Western border, and how today we desalinate the sea water for drinking. During the Palmach period and after the creation of the State of Israel, we used to pump and transport water from the Sea of Galilee to the National water carrier and distribute it throughout Israel. Today due to the droughts of recent years the level of the Sea of Galilee has dropped tremendously. We now transport water from the Mediterranean to the Sea of Galilee. After exploring the ruins and history at Caesarea, we headed to Haifa, for a Panoramic view of the Western Galilee. From this viewpoint, one can see how close we really are to Lebanon. Although it seemed like quite a distance,(47 km), Israel’s border with Lebanon is less than an hours drive from Haifa. Looking north from Haifa we see the city of Akko and Rosh Haniqra, a kibbutz located near picturesque grottos that sits on the border with Lebanon. At Rosh Haniqra, one can see the Lebanese soldiers manning their posts along our northern border. We turned eastward towards the ancient city of Nazareth, where Jesus grew up. Although there were no security issues here, it is definitely interesting to walk thru a city of Israeli Arabs, Christians, and Muslims. My tourists were surprised to see that the signs were in Hebrew, Arabic, and English just like any other city in Israel. 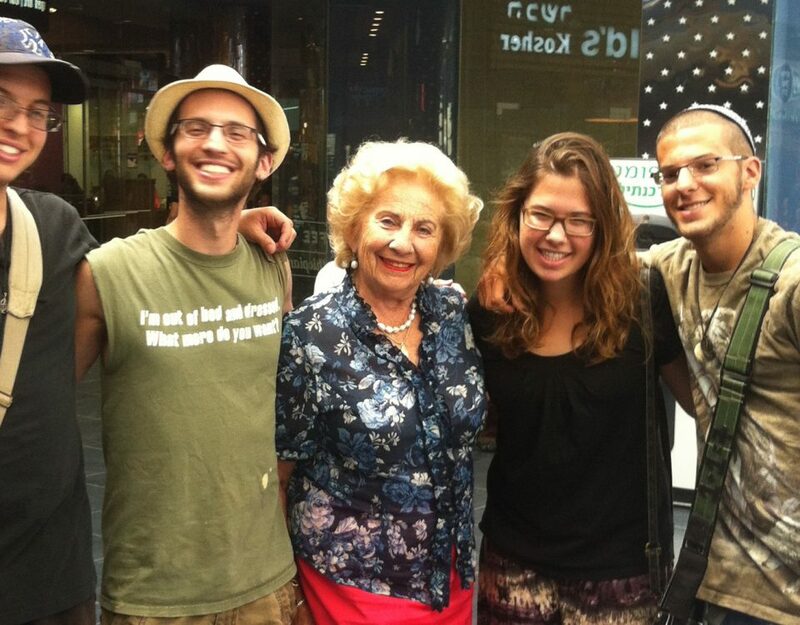 The residents they spoke with were happy to be living in the State of Israel. We wined and dined that evening at the famous Deck’s restaurant adjacent to the Sea of Galilee. It truly is one of the Galilee’s best restaurants. Sitting near the water, we realized that in ancient as well as modern times, from the Biblical period through the Palmach days till 1967 the Sea of Galilee was Israel’s eastern border. That changed in June 1967. Looking across the Sea of Galilee we could see the Golan Heights which were liberated by Israel during the Six Day War. Since then, Israel’s border has moved eastward. Our tour the next day took us along the north shore of the Sea of Galilee, to the places where the New Testament tells us that Jesus visited and started his ministries. Tabha and Capernaum are two of the most popular sites along the sea of Galilee that are important to Christianity and have traditions and stories from the New Testament. Today one can visit and experience the places where The Primacy of Peter, the miracle of the Loaves and Fishes, and the house of Peter in Capernaum are all there. We also visited the city of Magdala, where it is believed that Mary Magdalene resided. Today one can see ruins of the 1st Century Synagogue at Magdala. We continued up to the Golan Hts. Climbing up to the Golan, we stopped at a vista point overlooking the Sea of Galilee. Here, one could really feel what if was like when the eastern shore of the lake was the border. To have the Syrians sitting right on top of the lake, and able to shoot at the Israeli settlements below whenever they wanted to, must have been a truly difficult way to live. In fact, it was so horrendous, that during the Six Day War the residents of the Galilee went to Jerusalem and met with Prime Minister Levi Eshkol. They convinced him that the IDF must do something to push the Syrians away from the current border; otherwise, they would leave the Galilee. Fortunately, Prime Minister Eshkol understood their situation and gave the order for the IDF to take the Golan Heights. At the end of the Six Day War, the IDF had pushed the Syrians about 12 miles eastward. That may not sound like much. But as my tourists and I traversed the Golan from the Sea of Galilee to the current border, we were able to experience the difference. From high atop Mt Bental, we were able to see today’s border with Syria. We now have a geographical border that gives us strategic parity with Syria. No longer do the Syrians sit above us and have the ability to shoot at our settlements at their whim. In 1981, Israel officially extended Israeli laws, jurisdiction, and administration to the Golan Heights, effectively annexing the Golan to Israel. Today there are nearly 50,000 people living in the Golan Heights. The Israeli Golan has 36 localities, of which 32 are Jewish and four are Druze. With the Syrian Civil war of the last 5 years still continuing, it has become apparent to almost all Israelis how important the current border really is. We then turned our sites towards Lebanon. My tourists asked to see the border with Lebanon. So we drove down from the Golan and headed north along the Naftali Mountain range. We drove thru Kiryat Shemona and headed to Metula. Metula is the northernmost town in Israel. It is a small rural village of about 1600 people. As we drove along the edge of the town one can see the fence that separates Israel from Lebanon. The cars on the road on the other side of the fence were definitely Lebanese, from the town of Marjayoun. Fortunately, the people of Marjayoun are mostly Christian and have a good relationship with the Israelis in Metula. One of the residents of Metula told us that in previous years many of the Lebanese worked in the farms and shops of Metula and Kiryat Shemona. They still maintain a good relationship with the residents of Metula from across the border. 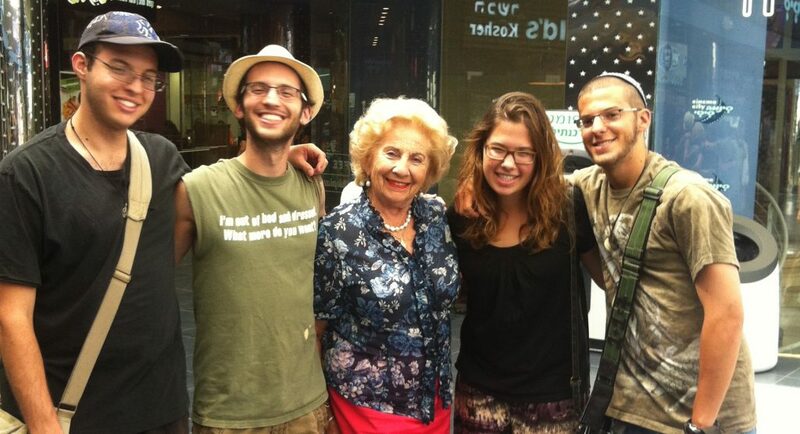 We expressed the wish that they would continue to be good neighbors and come back to work in Israel again. Returning to Tiberias we had another great dinner at Decks’ restaurant and turned in for the night. We next traveled from Tiberias to Jerusalem. We visited the ancient city of Beit Shean, which is first mentioned in the Bible as the place where the ancient Philistines celebrated after slaying the mighty King Saul in the Gilboa mountains nearby. The triumphant Philistines took the bodies of Saul and his sons and fastened them to the wall of Beit She’an. The city became the capital of the Decapolis during the Roman period and was given the name Scythopolis. Its location at the strategic junction of the Jezreel and Jordan valleys essentially controlling access from Jordan and the inland to the coast, as well as from Jerusalem and Jericho to the Galilee made it a coveted prize for conquerors. As we traveled we understood how borders mattered in ancient Israel as well as today. We drove south along route 90, known as the eastern border highway. The route takes us through the Jordan Valley and the Biblical area of Judea and Samaria, known today as the West Bank. We followed the border fence that separates Israel from Jordan. As the road twisted and turned, we were able to feel the geographic nuances of the border highway. At certain points we were adjacent to the border, other points in the road were further away. We could look across the border fence, and see Jordanian farms and fields on the other side. It was a good feeling to know that as we have a peace treaty with Jordan we could drive safely along this highway. We stopped at Kasar-El Yahud. This is the place where tradition says that the Jews may have first crossed the Jordan River when they entered the Land of Israel. It may also be the place where John the Baptist baptized Jesus. At this point, the Jordan river is only about 50 ft wide. Today, many Christians come to the site to be baptized in the Jordan River. One can see people coming from both sides of the river, from both countries to be baptized in the river. Israel and Jordan both maintain two soldiers on each side of the river. They are there to symbolize that the river does separate the two countries. Fortunately today, it is a peaceful separation. Arriving at Jerusalem from the east, we stop at the Mt Scopus viewpoint. The viewpoint is high above the eastern slopes of the city. From here one can view all of the Old City, as well as most of the unified City of Jerusalem. Looking northwards to Mt Nebi Samuel, and south towards the UN headquarters at the top of Jabal El Muqabber we were able to see and grasp where the border between Jordan and Jerusalem used to be, and how precarious the situation was. Thankfully in June 1967, the IDF was able to push the Jordanians out of Jerusalem and across the Jordan River. Today the city of Jerusalem is no longer divided by a “no man’s land” borderline as it was from 1948-1967. It is now one city. To better understand the Six Day War and its ramifications in Jerusalem, we headed to Ammunition Hill. This was the most important battle site in Jerusalem. After winning the battles here, the IDF was able to open the road to Mt Scopus and liberate the Old City of Jerusalem from Jordanian hands. A really good movie at the site tells the story of the municipal boundary that existed before the war and the feeling of exuberance and liberation afterward. As a direct result of the IDF winning the battles for Jerusalem, Jews, Christians and Muslims can now safely and securely make their way to the holy sites that Jerusalem is known for. The best and almost only way to explore the Old City of Jerusalem is by foot. King David, King Solomon, Herod the Great, Jesus, and many others probably walked along the same pathways. 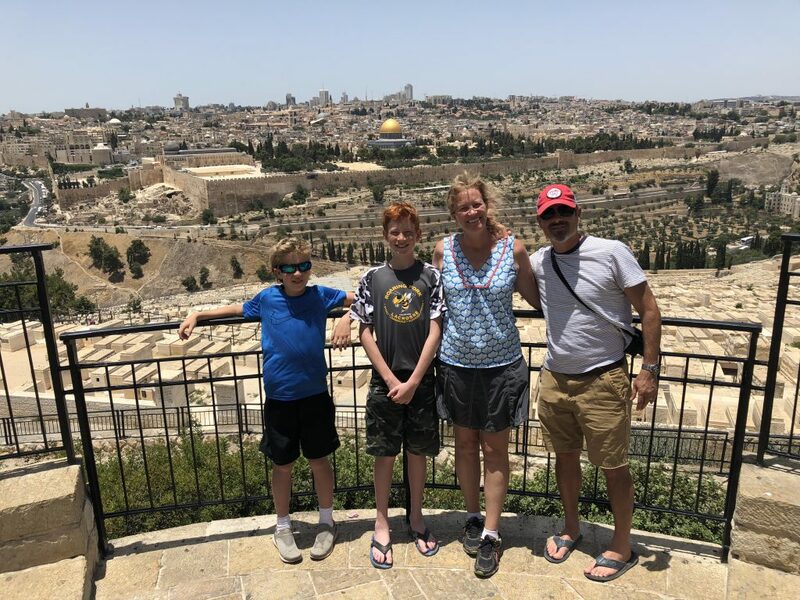 We walked from Jaffa Gate to the Cenaculum where Jesus had the “last supper”, and to King David’s Tomb where a tradition says he may be buried. We continued along the rampart walls built by Suleiman the Magnificient. Walking atop these high walls one gets an understanding of how the Turks fortified the city against enemy invaders. Fortunately today, Jerusalem is no longer in such a precarious situation. Our walk continued to the Western Wall, the holiest place for the Jewish people. It is believed that Gods’ presence resided on the mountain, known as Mt. Moriah, at the same place where Abraham nearly sacrificed Isaac, where King Solomon built Temple #1 and King Herod built Temple #2. The Western Wall is a remnant of the Temple, that sat atop of Mt Moriah. It is closest to the Holy of Holies. Today the Dome of the Rock occupies the space where the Temple once stood. From a nearby rooftop view, one can get an idea of where the Temple was located and how it was protected by the mountains that surrounded it. Today at any time day or night there are people praying and visiting the Western Wall. The Wall is never left alone. It is no longer a Wailing Wall, but a wall that adds a bit of spirituality to all who visit. At the Dome of the Rock, The Israeli police are ultimately in charge of security. However, the religious Muslim authority known as the Wakf is responsible for maintaining the religious status quo on the top. Non-Muslims are allowed to visit during the posted visitors hours. The Wakf will accompany Jews entering, to make sure that they do not pray at this holy site. If they do, they will be escorted out of the area by the Wakf and the Israeli police. This is the current compromise to secure and maintain the peace. Continuing our walk thru the Old City we arrived at the Church of the Holy Sepulchre, the site where most Christians believe that Jesus was crucified. 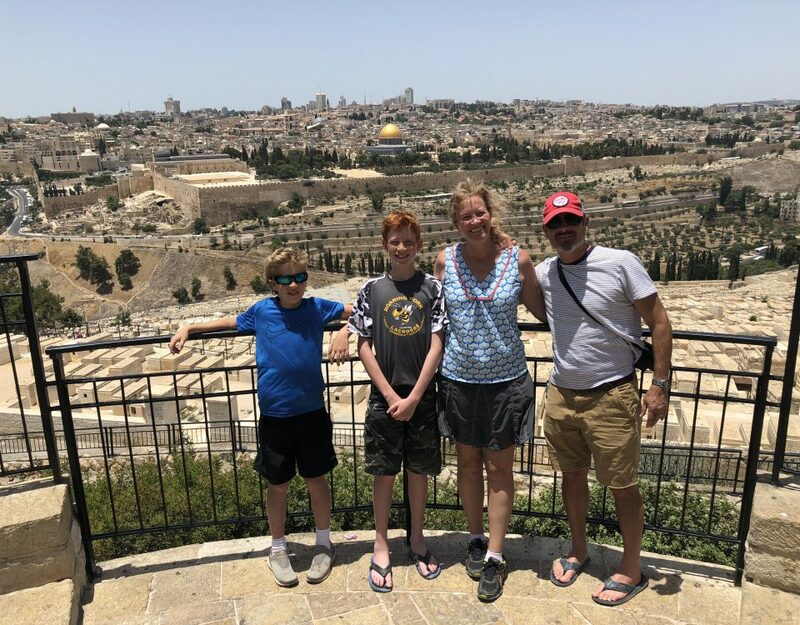 As we arrived at the plaza we saw a huge, beautiful church that was consecrated in the 11th century and sits atop the hill known as Golgotha, for its shape like a skull. Hundreds of Pilgrims visit on a daily basis to be close to the hill in which their Savior died on the cross. Today thanks to Israels’ complete control of the city of Jerusalem, Christians of all denominations are able to come and pray at this important, religious site. From Jerusalem, we headed south thru the Judean Hills to the ancient city of Hebron. We drove thru the West Bank/Judea, past the Palestinian city of Bethlehem and the Jewish towns of Efrat and Gush Etzion. We drove along the security wall that separates the two areas. The wall is there as a buffer providing much-needed security for the Israelis in this area. We traveled on a highway shared by Palestinians and Israelis, but controlled and maintained by Israel. Ever since the agreements known as the Oslo Accords between Israel and the Palestinians were signed, Jewish Israelis are not allowed into Bethlehem, as it is controlled by the Palestinian Authority and Jews are not wanted there. My tourists expressed the hope that the day will come when Jewish Israelis will be able to feel safe and once again visit Bethlehem. We made it to Hebron, the city of our forefathers. This is where the Bible tells us that Abraham bought land from Efron the Hittite to bury Sarah. It is here at the Cave of the Patriarchs that Abraham lies with Sarah, Issaic with Rebecca, and Jacob with Leah. There is also a tradition that Esau is buried here as well. The site we see today is a huge fortress-like building built by Herod the Great. It covers the land in which reside the burial caves. Muslims believe that this area is also important to them, as Abraham is known as the “friend”. In the past when the area was under Turkish and British control, Jews and others could only go up to the 7th step on the outside of the building. Non-Muslims could not enter at all. During the Jordanian occupation (from 1948 – 1967), Jews did not have access to the area at all. As a result of the Six Day War, and later with the Oslo Accords, Hebron is partitioned off into a Palestinian area and a Jewish area. The Cave of the Patriarchs is in the Jewish area and is controlled by Israel. The building is shared by Muslims and Jews, with different entrances for each group and different days assigned to each group for prayer. Heading back to Jerusalem we stopped at Kefar Etzion. At the new Kfar Etzion Experience film we were able to get a first-hand view of what life was like in Pre State Israel. We understood how important and strategic the Etzion Bloc was in defending and securing Jerusalem. Thanks to the valiant efforts of the fighters at Gush Etzion during the War of Independence, the Western Half of Jerusalem was secured. Our tour continued to other viewpoints and sites in Jerusalem, such as Yad Vashem and the Israel Museum. My tourists were also able to explore the Christian sites on the Mt of Olives and Bethlehem. The last day of the tour took us along the Eastern border of Israel. We headed south along the Dead Sea to Ein Gedi, where we saw the ruins of the ancient Synagogue and walked to the beautiful waterfall, with its unique Biblical history. We continued to Masada, to understand why Herod built his fortress-palace on this particular mountain. At the same time, we recounted the story of the Jewish Martyrs who defended their faith and freedom against the Romans at Masada. Riding the cable car to the top, one really can grasp the security situation of the period and the precarious situation that the Jews were in. We then drove south through the Negev desert and on to Eilat for some much-needed R and R! If you would like to cover the country from Metula to the Negev and beyond on your next visit to Israel, please contact me@Dave’s Dynamic Tours of Israel.